What STEM kits should I use in my classroom? I get asked on the regular about the products I use and recommend for enhancing STEM programs and classrooms. That’s why I put together this page. Here you’ll find a (growing) list of STEM Education Resources specifically for K12 teachers. I listed the intended age groups for each product (Elementary, Middle, and High School), so that you can find resources most appropriate for your scenario. I also included a mix of software, hardware, and kits. I think you’ll really enjoy a lot of these options – especially if you’ve received a grant or the OK to go ahead and retrofit your classroom! If you have any questions at all, feel free to contact me, and I’d be happy to help you develop your STEM program. Without further ado, here are the products that I recommend when starting a STEM Education program. Learn Robotics does get a small commission from some of the products you see here at no extra cost to you. We only link to products we’ve personally used. And if you do purchase through us, you have our sincere and heartfelt thanks! Arduino is an open-source electronic prototyping platform. Build circuits, prototypes, robots, and more with this interface. Arduino requires a bit more knowledge of embedded systems, but it is very easy to learn and is a cost-effective solution for the classroom. Meet Edison is a small, Lego-compatible robot that that has built-in motors & sensors. It’s ready to program out of the box, which means you can spend less time “building” and more time coding! Learn to program using EdScratch (a flavor of Scratch) flow-chart language or EdPy (a flavor of Python). Meet Edison robots are a cost-effective way to bring programming into the classroom. If you already have a box of Lego’s, you could easily add robotics to your curriculum with the Meet Edison Robot. Buy yours here. Cubit offers a variety of STEAM-related kits. They focus on projects that can be woven into classes that already exist. For example, you can have students learn about the butterfly cycle through their interactive, electro-mechanical project. Furthermore, Cubit STEAM kits can be used to create Earthquake Shake Tables, Robots, and Home Automation projects. Their kits range in price, but because they’re so versatile, most schools can use them for multiple classes, seeing double or triple the return on investment. You’ll even gain access to sample lesson plans. Buy yours here. When you think of robotics, a lot of people think Lego. It’s no surprise, because Lego had robotics kits before they became mainstream. 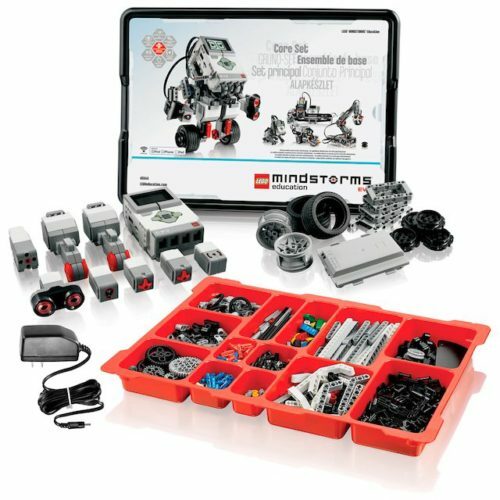 We recommend checking out their latest kit, the Lego Mindstorms EV3. Build everything from robot cars to robot arms, to robotic snakes & animals. Most schools do not maximize the types of robots that they teach, so I’d challenge you to check out some of their unique projects. Lego Mindstorms is a bit pricey, but if you utilize all the features, sensors, and programming languages, you should see a decent return on your investment. It’s a staple in a lot of robotics programs, so if you’re looking for safety in numbers, this would be a decent choice. Buy your kit here. 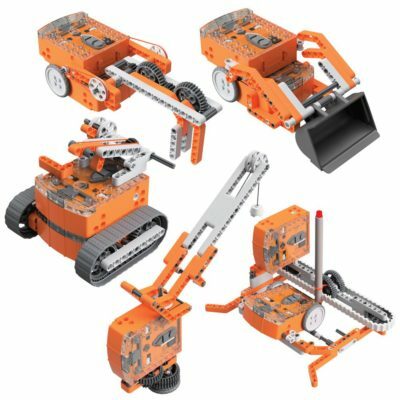 VEX is a popular robotics construction platform. 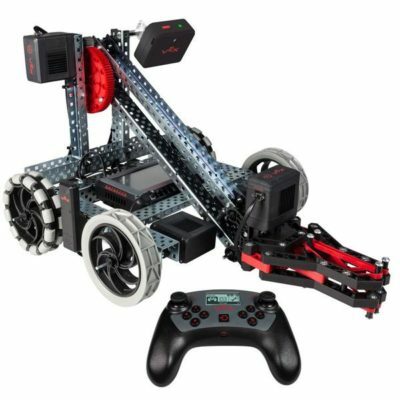 Their newest kit, VEX iQ, is designed for elementary and middle school students. 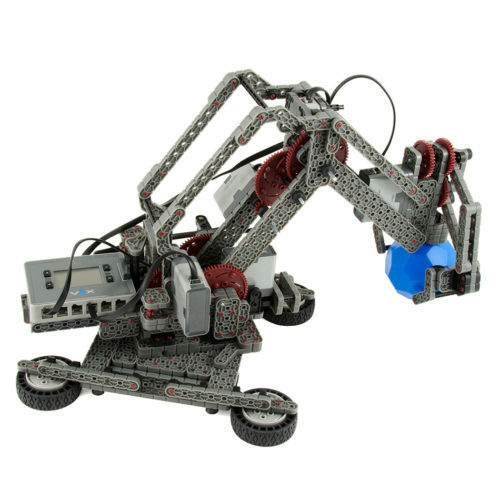 You can build a variety of robot devices with this kit including arms, cars, and rovers. VEX iQ is also pricey, but your investment is worth it if you have any intentions of competing in robotics competitions. The difference between Lego Mindstorms and VEX iQ is that you can program the latter in RobotC, easyC, and Modkit. This makes an easier transition from robotic toys to real robotic platforms. Buy your kit here. VEX V5/EDR is a rugged construction kit with the added bonus of sensors, motors, and a controller. If you’re looking for a kit that MOST resembles real engineering, this would be my pick. You could easily teach a class on torque, gear ratios, sensors, and construction using the VEX EDR. Out of every kit, I’d recommend this one the most if you have extra budget and you’re planning to have a high-tech engineering curriculum. The VEX EDR platform is the most expensive, but it provides the most flexibility. I’ve had students build everything from conveyors, to arms, to rovers. It’s an all-around great pick. Buy yours here. Raspberry Pi is a single-board computer that runs Linux. It also has a number of GPIO (General Purpose Inputs & Outputs) that you can connect simple electronics and circuits. The Raspberry Pi by itself is very affordable, but is more advanced to learn. If you have a strong Computer Science department, I’d recommend using the Raspberry Pi to build computers, program robots, or create games. You could even use the Raspberry Pi to program some of the other kits listed on this page. Buy yours here. Littlebits are a great way to introduce younger students to electronics and prototyping. Each kit comes with sensor modules that connect together to make inventions and devices. They’re a lot safer than wiring up circuits using raw components. Some kits are even compatible with Arduino, so you can program the circuits as well. Littlebits kits range in price, but are a very affordable, and easy-to-learn product to teach electronics, circuits, and coding. Choose from a variety of themes including “Gizmos & Gadgets,” “STEAM Set“, and “Education Code Kit“. 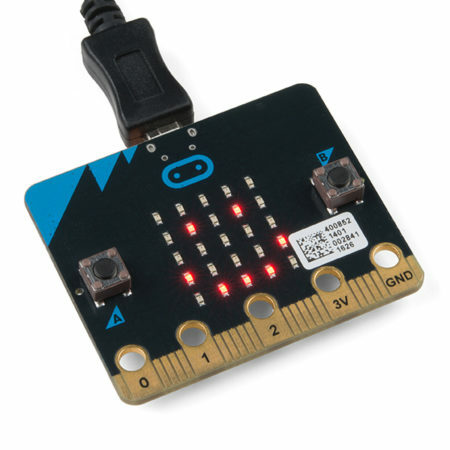 You can also use the Micro:Bit with Raspberry Pi. The opportunities are endless, and the controller is very easy to use and setup. If you’re looking for the most cost-effective option for circuits and prototyping, plus, ease-of-use, this is your best bet! Buy it here. 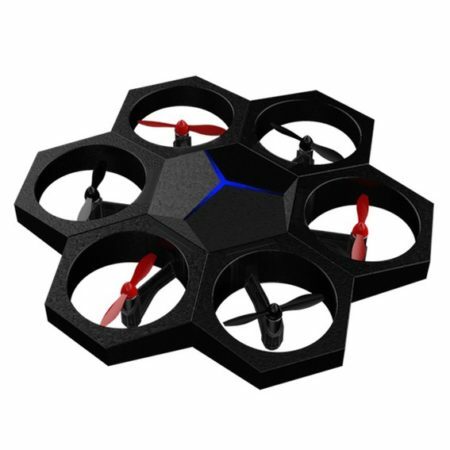 Airblock is a transformable robot drone. Build hovercrafts, Unmanned Aerial Vehicles (UAV’s), ground vehicles, and more! The modular components make it safe for younger students, too! Control your Airblock with a remote control or create custom programs using the App. If you’re looking for a way to talk about aerospace with your students, this is a great (and affordable) option! Buy yours here. Tech Will Save Us makes a really cool Arduino-compatible Gamer Kit. It comes with a pre-soldered shield which students can use to build games and program simple electronics. Kids invent, code, and play their own games while learning important creative thinking and problem solving skills. They make other kits including Electronic Dough, a Musical Synth Kit, and a Creatures Kit. Buy the Gamer Kit, here. Scratch is a visual programming language designed to teach logic and coding through animations and games. It’s completely free to use – all you need is a computer, internet access, and an account. Build Coding Games, Animated Projects, and more with Scratch! We also recommend checking out the Student Workbooks to align activities in the classroom. Once students become more advanced, you can incorporate hardware & robotics using Arduino& Meet Edison! Tinkercad is an online CAD (Computer Aided Design) and electronics simulator developed by Autodesk. 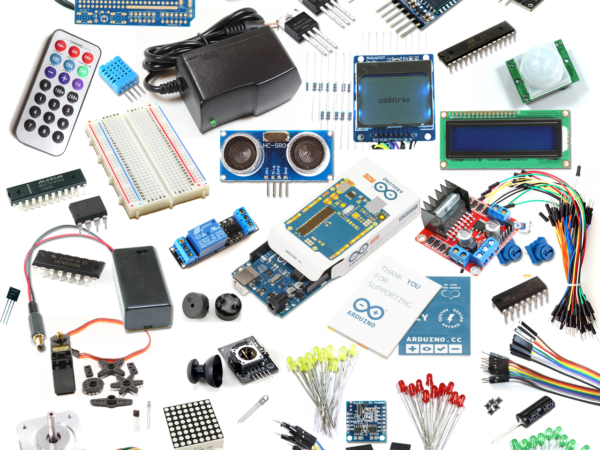 Students can learn how to create mechanical models and prototype Arduino Circuits. It’s a great all-in-one program for learning electronics, 3D printing, mechanics, and programming skills. Again, all you need is a computer, internet access, and an account. There are even lesson plans and tutorials students can follow independently! Fritzing is a free tool to help you draw schematics and Arduino wiring diagrams. I use Fritzing frequently on the blog to show you how to wire up circuits. Fritzing is not an online simulator, so you can’t use it to write and test code. It’s designed to give students a taste of PCB/electronic prototyping as a precursor to KiCad or Eagle. Download Fritzing here. Did we miss an awesome STEM resource? Send us a note and be sure to tell us the name of the product, what grade it’s good for, and how you’ve used it in robotics projects.